LOLC, with a view to assist nature, commenced its reforestation project by educating and getting the community involved in their green efforts. 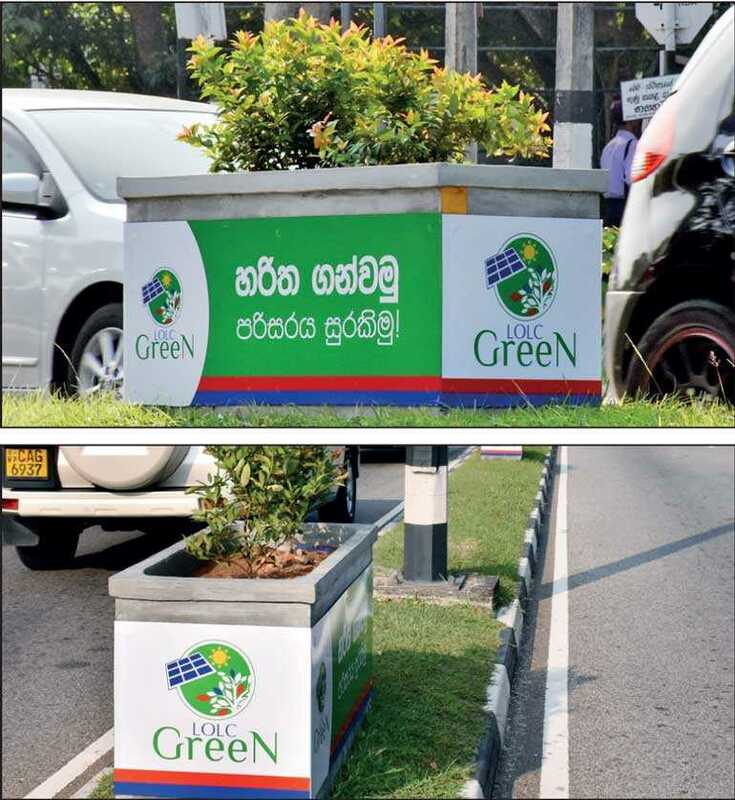 This initiative which was launched as a part of its overall sustainability campaign titled ‘LOLC Green’, has taken a further step by financially supporting the placing, planting and maintaining of flower troughs along the centre isle of the Parliament Road on 1 January. 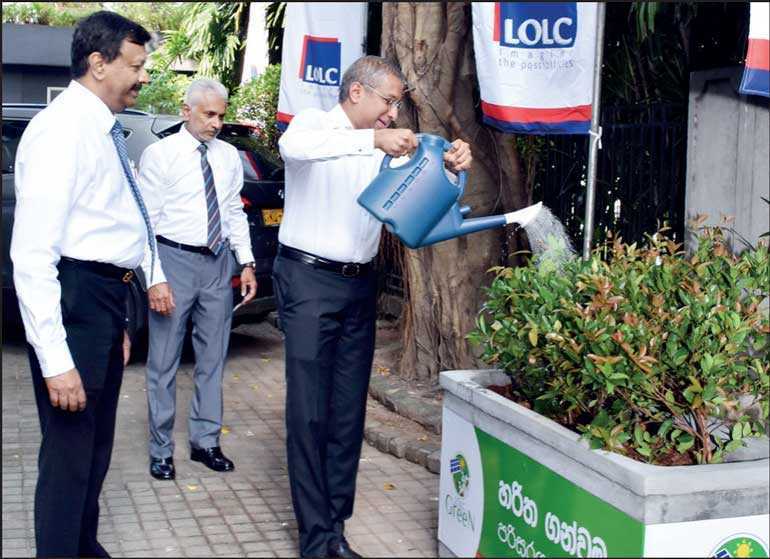 The LOLC Green initiative commenced with the implementation of its island-wide Schools Tree Planting Program to promote the habit of tree planting and to raise awareness on deforestation and its impact to Sri Lanka, amongst the school children. The first step of this wider program which has already commenced, will see the planting of trees in 300 identified schools in all 25 districts that will not only help in absorbing odours and pollutant gases but also produce food for consumption. The LOLC Group’s islandwide presence through its network of 245 locations is aptly utilised to drive this program which has now reached the halfway mark. Having recognised the adverse effects of climate change and its major effects on human health, the LOLC Group is committed to working closely with all its stakeholders to effectively drive forward its reforestation and renewable energy programmes, spearheaded under the LOLC Green banner to ensure a safer and greener tomorrow for everyone. Apart from the Group’s reforestation program, the LOLC Group is also looking at implementing an effective Solar Energy initiative under LOLC Green, which will benefit its own staff members, business and customers. The LOLC Group is a signatory to the United Nation’s Global Compact (UNGC’s) established code of principles. The Group is thus guided by the 10 principles concerning human rights, labour, environment and anti-corruption promulgated by the UNGC.